Vortex is a smart and responsive robot that kids can play with and program themselves. The emergence of robotic gadgets have inspired a new generation of toys that are not only fun but educational as well. 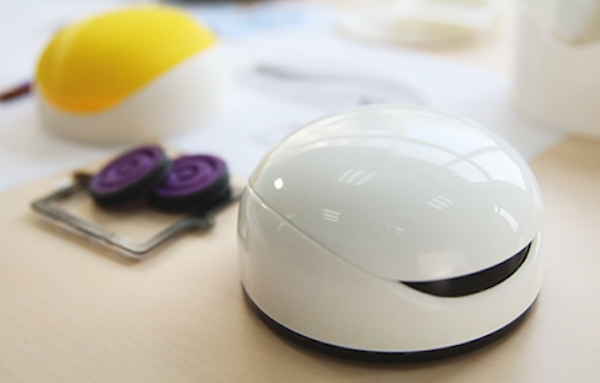 Joining the likes of Sphero, Hackaball, Kibo, LocoRobo and several others, Shanghai-based startup DFRobot has introduced a smart and responsive device for kids. Named Vortex, the robot enables its young users to play various games, learn about programming and even create their own via an accompanying app. Designed with the novice Maker community in mind, Vortex works right of the box and simply pairs to a smartphone (iOS and Android) over Bluetooth. Thanks to its built-in computer and a dozen sensors, it is capable of maneuvering around the floor, desk or table with a touch of the screen. Vortex features four pre-installed, multi-player games, which allow kids to compete against one another in sumo-like bumping fights, play a round of virtual golf, race throughout the house or partake in an immersive match of robot soccer.